One of the main reasons we bought our house was for the porch. I love sitting on the porch and of course decorating it. Decorating the porch this year is a priority of mine. The porch always has a little something, but it could use more love and attention. 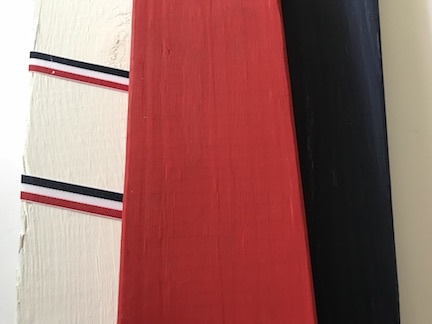 A pile of 2×4’s in the garage are waiting to be used from my parents and since the 4th of July is coming, I created some 4th of July Porch Decorations. Start by painting each of your 2×4’s a different color. A great thing about this project is you can mix it up and make your 2×4’s different colors. Create what will match your design style. 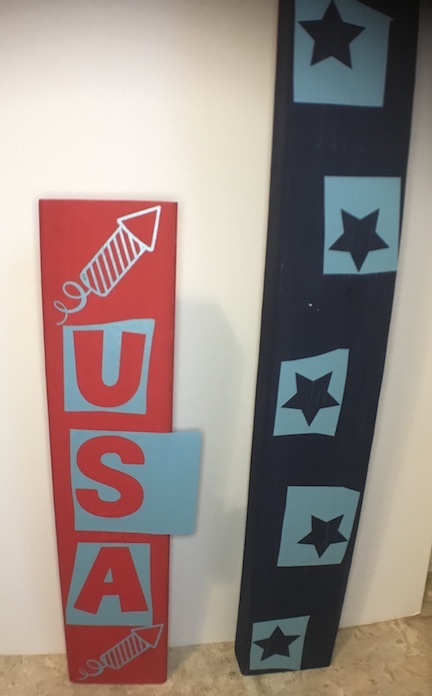 In Cricut Design Space™ I created the USA, rockets, and stars. Using my Cricut Maker I cut the designs onto Cricut Vinyl . Lay out the designs on the 2×4 to make sure you like the placement and how the design looked. On the tallest blue one I did stars and on the shortest red one I did USA and the rockets. When I started this project I was going to paint the rockets, but the blue popped off the red in such a great way, I used the vinyl. Normally for outside decorations I use Oracal 651 because it’s a permanent vinyl. I’m taking a chance by leaving the rockets on, but I can always fix them. To apply the vinyl to the 2×4’s use transfer tape. 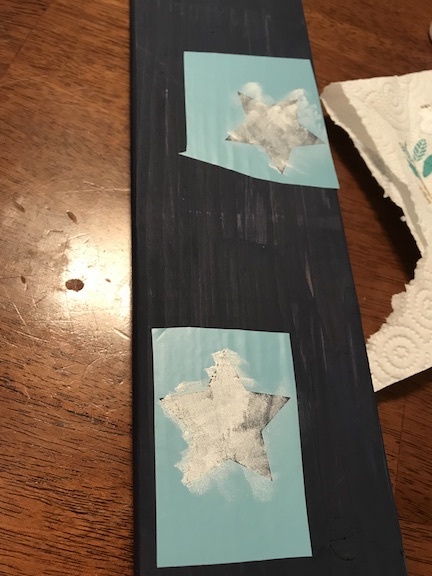 If you don’t have a Cricut, you can buy a stencil, paint by hand or use the other methods to transfer the designs to the wood. It’s time to paint the stencils. For stenciling I like to use makeup sponges to paint. Remember a little paint goes along way and dab up and down slowly. After about 4 coats, let the paint semi-dry and remove the stencil. I touched up a few spots where white paint was noticeable on the blue and the red paint. 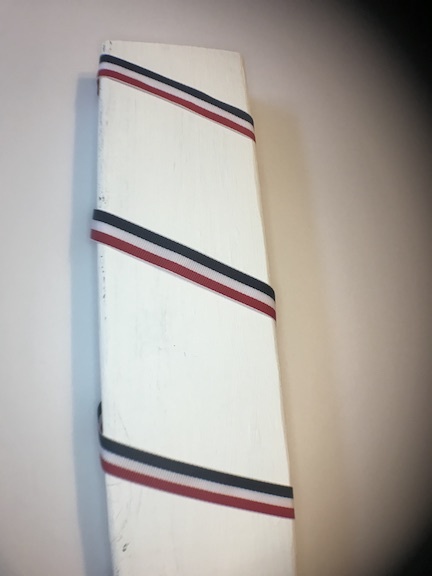 For the white 2×4 I wrapped patriotic ribbon around it and hot glued the ribbon to the 2×4. Homemade decorations are always unique, which is why I love them! 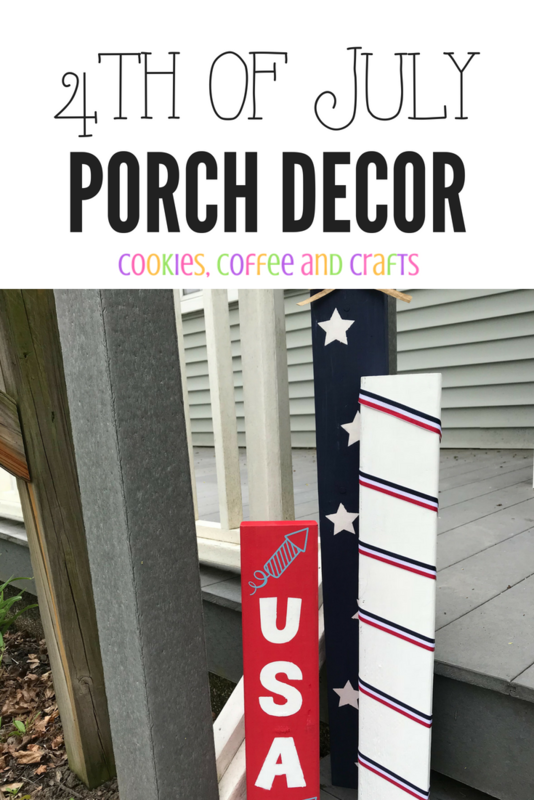 These look great on the porch to celebrate the 4th of July. It’s going to be red, white, and blue galore!